Are you fascinated with the world of wine? Perhaps you’re here to learn about the wines of the Pacific Northwest. Then you’re in the right place. We have been writing about the wines of Washington, Oregon, British Columbia and Idaho for more than 20 years, and it is our passion. Each day, we write stories about wine to help you get the inside scoop on what’s happening in our region of the world. We also review the latest wines from the Pacific Northwest. Sign up for our Wine of the Week newsletter. 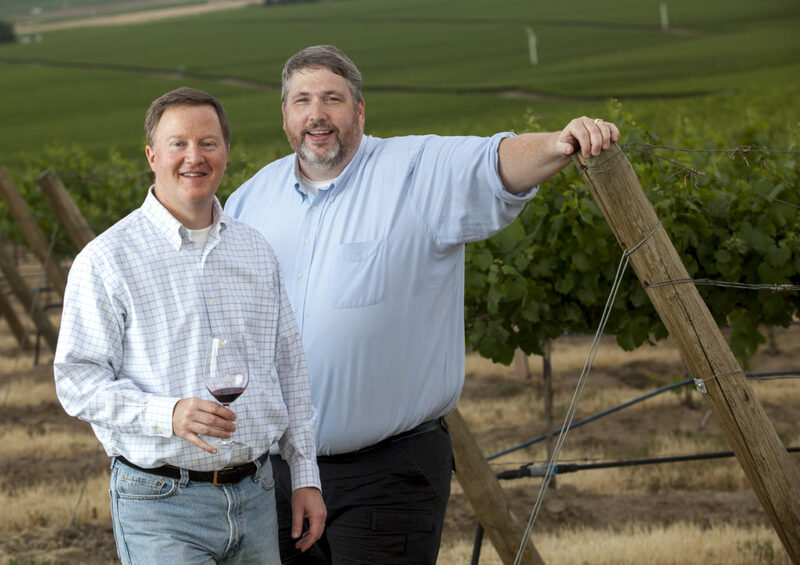 We’re Eric Degerman and Andy Perdue, the owners, editors and writers of Great Northwest Wine. Together, we have more than 35 years of experience writing about the wines, vineyards and chefs of Washington, Oregon, British Columbia and Idaho. We founded Wine Press Northwest magazine in 1997 and were the editors of the quarterly wine magazine through 2012. During that time, we’ve also published a weekly e-mail newsletter called the Pacific Northwest Wine of the Week. In 2010, we launched a weekly wine column that is syndicated in 21 newspapers and has a potential print and online audience of more than 5 million readers. Combined, we have more than 55 years of daily newspaper experience. Great Northwest Wine is our company. Here, we write about wine from a journalistic point of view. We cover wine news, write features, provide tidbits about the industry and much more. The site is updated many times per day. Eric Degerman was born in Portland, Ore., and graduated from Lewis & Clark High School in Spokane, Wash. He attended Clark Community College in Vancouver, Wash., on a golf scholarship, helping the Penguins win consecutive NWAACC championships, prior to graduating from the University of Washington with a degree in history. During college, he worked for the Vancouver Columbian, the Valley Daily News in Kent and The Seattle Times before spending 25 years as an editor and award-winning sports writer at the Tri-City Herald. He co-founded Wine Press Northwest, becoming a food writer and wine judge, and has contributed to Canadian Hockey magazine and Vineyard & Winery Management magazine. In 2018, he was a contributing writer for Wine Trails – USA & Canada by Lonely Planet. His judging history includes the San Francisco Chronicle Wine Competition, Oregon Wine Competition, Houston Livestock Show & Rodeo International Wine Competition, Pacific Rim International Wine Competition, New Orleans International Wine Competition, Grand Harvest Awards, Long Beach Grand Cru, Riverside International Wine Competition, Northwest Wine Summit, British Columbia Wine Awards, the British Columbia Lieutenant Governor’s Wine Awards, Okanagan Fall Wine Festival, Washington State Wine Competition, Savor Northwest Wine Awards, Tri-Cities Wine Festival, Idaho Wine Competition, Oregon’s Greatest of the Grape, the Wenatchee Wine and Food Festival Wine Competition and the Capital Food & Wine Festival Wine Competition. Eric is president and CEO of Great Northwest Wine. He lives in Washington wine country with Traci, his wife of 27 years and felines Anakin, Hondo, Pinky and Smokey. Andy Perdue grew up in Bremerton, Wash., about 15 miles west of Seattle. After high school, he attended Western Washington University in Bellingham, where he graduated with a degree in journalism and a minor in history. Andy has worked for many newspapers, including the Tri-City Herald, Twin Falls (Idaho) Times-News, Arizona Republic, Wenatchee World, Port Townsend Leader, Silverdale Reporter, Bainbridge Review, North Kitsap Herald and Port Orchard Independent. 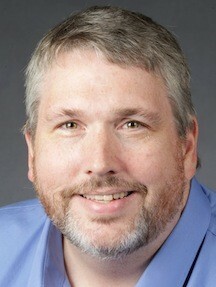 For 16 years, he was editor-in-chief of Wine Press Northwest. As editor of the quarterly consumer magazine, he wrote columns, cover features, tasting notes and analyses of peer-group judgings. 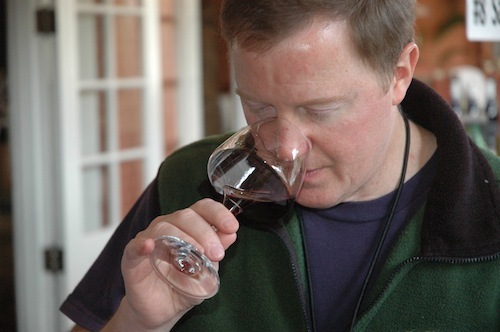 As a wine writer, Andy became the columnist for The Seattle Times and Pacific Northwest magazine in 2013. He also has been a columnist for Seattle Homes & Lifestyles and Vineyard & Winery Management, and he’s written articles for numerous other publications. In 2003, Andy’s first book, The Northwest Wine Guide: A Buyer’s Handbook, was published by Sasquatch Books. He’s also contributed to several other books, including Swirl, Sip & Savor (2010), North American Wine Routes (2010), Best Places to Kiss in the Northwest (2008) and Best Places Northwest (2001). Andy has judged at the following wine competitions: San Francisco International Wine Competition, Los Angeles International Wine & Spirits Competition, Riverside International Wine Competition, Sunset International Wine Competition, San Francisco Chronicle Wine Competition, Long Beach Grand Cru, Central Coast Wine Competition, Dallas Morning News and TexSom Wine Competition, Northwest Wine Summit, Washington State Wine Competition, Oregon State Fair Wine Competition, Okanagan Fall Wine Competition, Seattle Wine Awards, Idaho Wine Competition, Capital Food & Wine Competition and Platinum Awards. In 2015, Andy was named the honorary chair of the Auction of Washington Wines, joining a list of such luminaries as Robert Mondavi, Piero Antinori, Ernest Gallo, Hugh Johnson, Marvin Shanken, Andre Tchelistcheff, Robert Parker, Harvey Steiman and Leon Adams. Andy lives in the heart of Washington wine country with his wife, Melissa, and their daughter, Niranjana. Hank Sauer is a retired educator who has volunteered for Great Northwest Wine and Wine Press Northwest magazine since 2002. Through the years, Hank has redefined the job of wine judging facilitator and holds the honorary title of Master Facilitator. 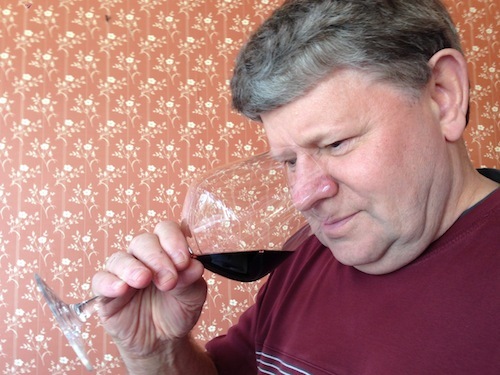 In addition to volunteering as our wine judging facilitator, Hank also has served as a judge on many occasions. He is recognized throughout the Pacific Northwest as one of the most knowledgeable wine people in our region and has worked with such competitions as the Great Northwest Wine Competition, the Walla Walla Valley Wine Competition, the Platinum Judging, Savor Northwest, the North Central Washington Wine Awards, the Idaho Wine Competition, the Great Northwest Invitational Wine Competition and the Northwest Wine Summit. True to their lifelong professions of teaching, Hank and his wife, Nancy, also conduct wine education seminars throughout the Northwest.